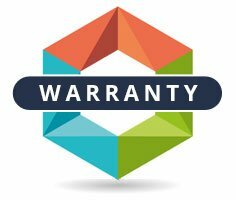 The duration of the hardware warranty is indicated on each product information sheet. The warranty is a minimum of one year for parts and labour. If your equipment breaks down while under warranty, before contacting our Customer Service, please perform a few checks. Be sure to check your user guide to make sure the equipment was used according to manufacturer standards and that the software provided with your product, as well as your operating system, is up to date. If the problem is not resolved, please contact the after sales service. The after sales service will also inform you of the return process for the product and provide you with a return number. Please note: No returns will be accepted by Makershop without having first contacted the after sales service. For any return of an order, it is imperative that you inform us of your actions. Assistance: Makershop will guide and assist you in every step of the warranty process. Our Customer Service will strive to meet your expectations. You must contact the after sales service before any product return in the framework of the warranty. Contacting the after sales service may allow you to solve your problem without needing to return the product and facilitate the process for obtaining a repair or, if applicable, the replacement of your products under warranty. The after sales service is also responsible for the 14 day "moneyback" guarantee. By phone: our after sales service is available on +33 (0)9 72 57 34 94 Monday to Friday from 10 am to 6 pm. Via the contact form: you can send us your message by specifying the subject of your question, click here to access the form. Whether you return concerns the manufacturer warranty or the "moneyback" guarantee, please follow the recommendations below so that your request is processed under the best conditions possible. Compliance with the steps of your approach ensures that your product return will go smoothly. Please carefully follow them so that your request is processed as quickly as possible. Makershop will refuse any parcel that has not been monitored by the after sales service.